If you have ever had a large image-retouching project, working with a mouse usually makes it a less-than-precise and laborious endeavor. After years of experience using a mouse, I have refined my ability to use a mouse to edit images. However, there are better tools than mice out there to make your image editing quicker, easier work with noticeably better results. Working with a mouse can be tedious because your wrist is flat, and you can only work using crude dragging motions that involve your entire hand. Usually, a mouse is imprecise and clunky in your hand, and after prolonged use, your hand will start to cramp. A mouse is fine for surfing the web, scrolling, or doing simple work, but a drawing tablet allows you to complete more detail-intensive much more comfortably. A drawing tablet usually comes with a stylus, which is closely related to a pen in shape. They are generally much easier and more comfortable to hold in your hand than a mouse, and they allow for an incredible degree of precision in your work. 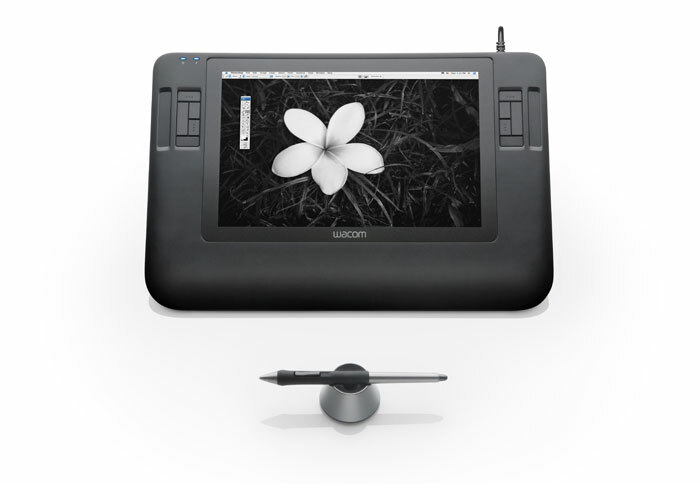 Wacom tablets have up to 2400 different levels of pressure sensitivity. Mice only have two levels of pressure sensitivity; clicked or not clicked. This gives tablets a huge advantage over mice, especially for detail-oriented image editing. When using Photoshop, the pressure sensitivity applies to your brushes as well. This makes it so much easier to blend colors, add effects, and apply retouching techniques. With a stylus, you can tilt the pen, and move your hand and wrist into a natural drawing position. This allows you to have much more control over the strokes that you make. You can literally sketch with your computer. You can paint with your stylus digitally inside of Photoshop, and your work will have a more natural appearance, simply from the fact that you have a natural range of hand and finger flexibility. If you want your images to come alive and have an organic, natural, professional look, then a Wacom tablet is an ideal tool for your design work. 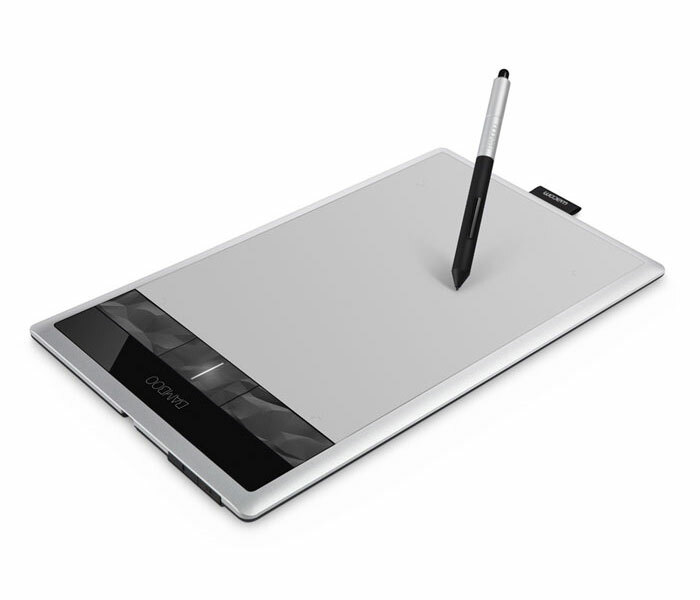 This is an entry-level drawing tablet. You can use it for sketching, painting, doodling, notes, and more. You can retouch photos with it as well. The Bamboo line is a great starter model if you want an inexpensive way to try out a drawing tablet. The Bamboo line features 1024 levels of pressure sensitivity, which is nice for realistic drawing, sketching, painting, and retouching. There are actually 3 different models of the Bamboo. You have the Bamboo Connect, the Bamboo Capture, and the Bamboo Create. There are significant differences between the models, so the choice really comes down to what you are looking for in a tablet. The Bamboo Connect and Capture do not have eraser features on the stylus. This feature is handy, because it allows you to flip the stylus around and erase a mistake like you would with a normal pencil. They are both small in size, and the Connect doesnâ€™t come with a wireless option, a multi-touch input, Nik Color Efex Pro Filters, Corel Painter Essentials, or Adobe PS Elements. The Bamboo Create model comes with all of these features, and it has a larger workspace than the other models. This is an interesting product, because it allows you to work traditionally, with a real pen, but it is converted and saved digitally. The concept is simple, because all you have to do is clip the receptor at the top of your artwork, and the Inkling records your work digitally, saving you the extra step of having to scan your work. Where the Inkling stands out is that you can save plenty of sketches, and you can export the file with layers as Photoshop, Illustrator SketchBook Pro, and SVG formats. This is great because you can sketch out your ideas, and then hit the ground running from a digital standpoint, because your sketches and drawings are ready to go directly from export. The Intuos5 line is a great line of tablets for professional use. They have 2048 levels of pressure sensitivity, so you have ultimate control over your sketches, paintings, and retouching work. The Intuos models come in 3 sizesÂ â€” small, medium, and large. Besides their varying sizes, the only difference among these three different models is that the small model only has 6 express keys, and the two larger models have 8. Express keys allow you to customize your settings and create hotkeys for different actions that you perform frequently. 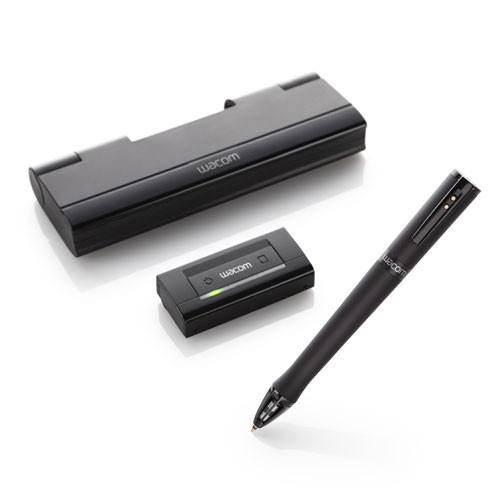 The Intuos line supports pen tilt recognition, meaning that the tablet recognizes when you are tilting the pen at an angle, and the brush or software reacts to the tilt of the stylus. The Intuos models also feature a multi-function touch ring. This is similar to scroll wheels or “jog-dials” that you would find on older iPods. You can set the scroll wheel to control different aspects of your stylus. A good example would be setting the scroll wheel to control brush size: Scroll in a clockwise motion, and the brush gets larger. Spin it the opposite way, and the brush gets smaller. The Intous line also supports multi-touch functionality, which means that you use your fingers to perform different tasks. Different multi-touch gestures will complete common task in a flick of the fingers. This line of tablets gives you a great deal of control with a lot of customizable express keys to save you a lot of time and make your work a lot sharper. The Cintiq line of tablets is incredible. Instead of drawing on a tablet, you can draw directly on the screen itself. This is extremely precise, and it’s the ultimate way to work traditionally on a digital canvas. The real difference here is portability. Obviously, these models are more fragile and hard to move between offices or studios. There are three models, the Cintiq 12WX, the Cintiq 21UX, and the Cintiq 24HD. The differences here are mainly just the size of the workspace. Bamboo Paper is a unique iOS app that works very well with the special stylus that Wacom makes for the Apple iPad. It’s not just for intensive image editing; you can use this combo for many different purposes, like presentations, sketching wireframes, doodling design ideas, mind mapping, and any other task where you might use a legal pad or a leftover napkin. 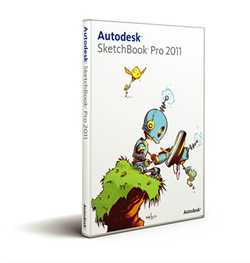 SketchbookPro is another great program that lets you create sketches quickly and efficiently. It supports layers, and you can bring your work into Photoshop. It is a great way to store digital sketches, because it’s a natural way to sketch, and it’s very fluid. It comes with a lot of tools that are similar to Photoshop. You can make straight lines, rectangles, circles, and you can blend colors. SketchbookPro is fast as well, as there is no lag when creating your sketches. The choice that you make between all of these different tablet products just depends on your preference. If you have an iPad, then obviously you will want the stylus and the Bamboo Paper app. If you are looking for an affordable way to create digital artwork with decent capabilities, then one of the bamboo tablets would be a good choice for you. 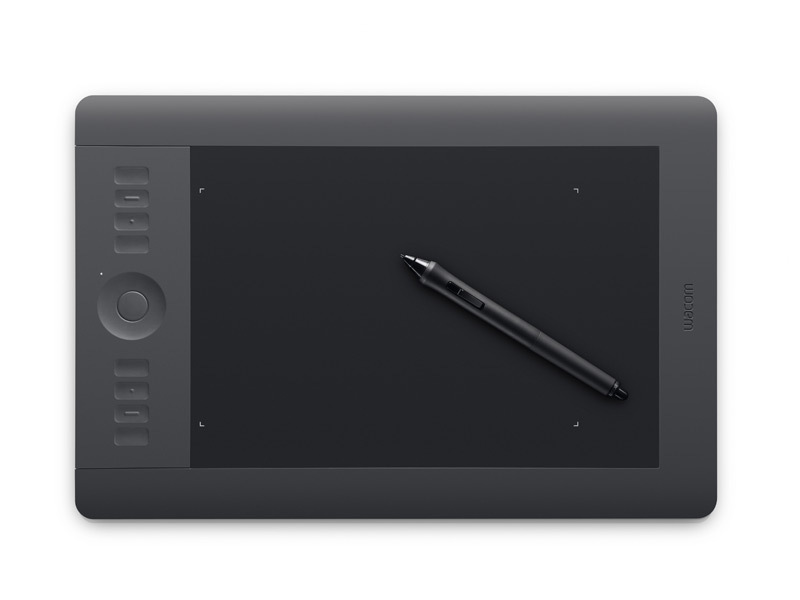 If you want to create digital artwork with the ease of hotkeys and greater pressure sensitivity, than the beginner bamboo tablets, then you would select from the Intuos5 line of tablets. If you are a veteran digital artist and you want the ultimate digital sketching, painting, and retouching experience, and you want it to be as close to traditional artwork as possible, then the Cintiq line of products would be a good choice. If you are serious about your artwork, and you want a more natural way to create your work, then a tablet is most definitely the solution for you. Working with a mouse feels like working with a brick, and once you go flat, you never go back. Do you have a preferred drawing tablet? Have you found some unusual, unanticipated uses for yours? Would you ever go back to a mouse?